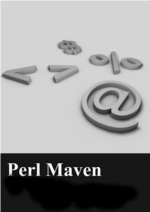 This is a guest post by A. Sinan Unur who usually writes about Perl on his Perl blog. Perl and CPAN provide a plethora of tools to help you deal with directories and files in a portable way. Using them also makes your intentions much clearer than some random regexp pattern that "works" for you. We live in a world where most developers can do just fine pretending that everything runs on a kind of a Unixy operating system. This seems to have led to programmers forgetting, or never learning, some important lessons in how to deal portably with operations involving files and directories. Even if you do not care about your code being able to run on a system that has different rules, using the facilities Perl and CPAN provide would add a much needed amount clarity to your code which I regard as a worthy goal in and of itself. Can you tell what each of the following lines of code does? Example A is from version.pm and example B is from TestML. A lot of modules on CPAN depend on version.pm. On the other hand, TestML seems to be a sneaky dependency for the new Inline::C via Pegex. I am mentioning this to underline the fact that these are not modules no one cares about. Yet, their test code includes these unportable and opaque lines. I only became aware of these due to unexpected test failures on my perl 5.20.1 built using Microsoft's Visual Studio 2013 Community Edition on my Windows 8.1 system. But, let's get back to the topic: What do these lines do? Example A is an attempt to construct a path to the file coretests.pm which is assumed to be in the same directory as the current script. This is similar to adding a directory relative to the current script's location. This file whose path is thus constructed is then required on the subsequent line. Of course, there are many ways the substitution s'[^/]+\.t'coretests.pm' can fail to work as intended, but the most straightforward cause of failure would be due to code being run on a system that does not use / as a directory separator in file names. It is true that internal Windows APIs do not mind if you give them Unix style paths. But, programs invoked via the shell do not offer that luxury. Instead, most Windows console programs, following the DOS tradition, use the / character for command line options. When this test script is invoked as t\00impl-pp.t, the substitution ends up replacing the entire path in $coretests with 'coretests.pm', and therefore the following require looks for this file in the wrong directory. Similarly, the code in example B simply tries to capture the path to the directory containing the current executable. Once again, this fails on Windows because the path in $0 is unlikely to contain a / in the right spot. In fact, much hilarity can ensue if the path contains a mixture of \ and / as directory separators. There are a number of ways of figuring out the directory in which the currently running script is located. Each and every one of these would be a better solution than these regular expression patterns. First, their use would make it clear to the person reading your code the intent behind the code. Second, if some other operating system with some other directory separator became popular, you wouldn't have to locate each and every place where you have used a string operation on a file name to make your code work again. Third, these methods are likely to be a lot more robust than your regular expression based solution. What would the substitution do then? Instead of having to consider this question anew every time you want to construct the path to a file in the same directory as the current script, you can use the facilities offered by Perl and CPAN, and enjoy the benefits of the correctness and clarity they offer. Here are some alternatives. This is not an exhaustive list. In fact, I have purposefully omitted a few for the sake of stimulating some discussion. FindBin has been in the core since 5.00307. It used to have an annoying aspect which has been fixed in recent Perl distributions. The bug resulted in the $PATH being searched if $0 contained a relative path, so you may want to avoid it in code that is expected to run on older perls. This function tries to emulate the shell function by the same name, and you can't rely on whether the returned path includes a trailing directory separator, so, it may not be suitable in all circumstances, but, if anything does go wrong, at least the person who is trying to diagnose your code will know what you were trying to do. Keep in mind that, as with $FindBin::Bin we still need a facility to portably concatenate a file name to this path. Therefore, you may just want to move directly to File::Spec. 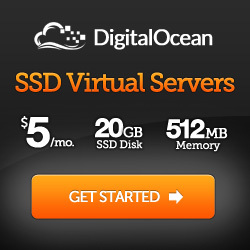 and your code will do the right thing on all operating systems File::Spec knows about. The File::Spec solution is portable, but it does feel a little clunky due to the need to explicitly handle the possibility that the path may include a volume name. Especially if your code deals with a lot of filesystem related operations, and you are comfortable adding a non-core dependency to your project, you may want to consider Path::Class or Path::Tiny. Path::Class uses File::Spec internally, but hides a lot more of the ugliness. It also provides various convenience methods so you don't have to, say, re-invent slurp in every new module. to obtain the path to a file that is in the same directory as the current script. In this post, motivated by a couple of examples, we looked at the question of how to compose the path to a file that is in the same directory as the currently executing script. As is always the case with Perl, there are multiple ways of doing this. They are all better than rolling your own incomplete method based on a simple regular expression pattern. Not only does using using these modules make your code more portable, and easier to understand, they have the benefit of catering to corner cases you may not consider when you are busy banging out regular expression patterns. I care about this because I like Perl, and I consider it a missed opportunity when cpanm Some::Module doesn't work due to an obscure test failure in some other module because of an unwarranted assumption that Unix style paths work everywhere. If all this is intimidating, have no (well, maybe only a little) fear. There are modules that can help. The File::Spec modules provide methods to do the Right Thing on whatever platform happens to be running the program. The bug in TestML was fixed in 0.52. A pull request against version has been submitted.